Thank you, Pam, for having me as your guest today. 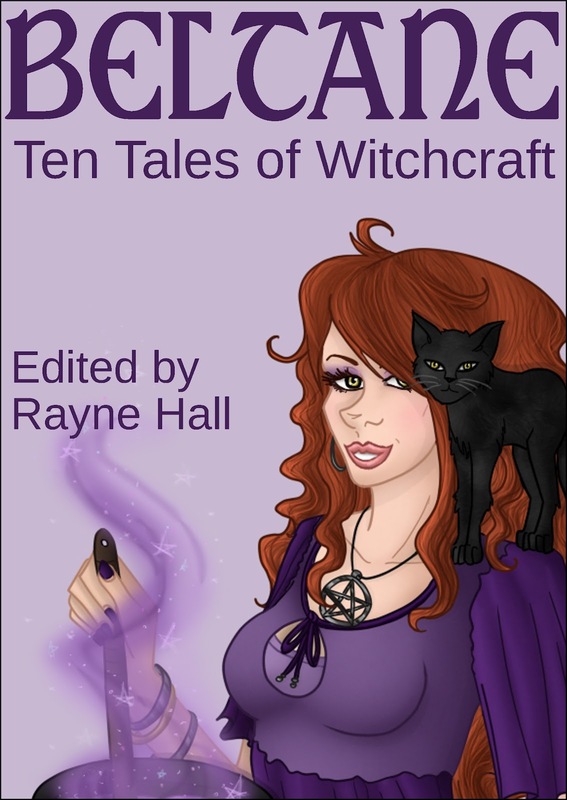 My story in BELTANE, The Thirteen Steps, is about, Isabella, a Sicilian Strega who is falsely accused of consorting with the Devil and comes back one hundred years later, seeking reven…er, justice. As a child, my Sicilian grandmother would tell us of the Stregas in her village. She spoke about them with respect, not fear, explaining they possessed certain gifts that others did not. They understood the secrets of nature and knew how to use the healing properties of herbs and plants. When I was older, I became interested in Paganism and all its many believe systems, from Native Americans, to Buddhism, to Wicca. For me, it was natural to delve into and learn about Italian witchcraft. Stregheria or La Vecchia Religione, The Old Religion, share some aspects of Wicca, but in itself is unique. The main distinction, until fairly recently, is that Stregheria was a hereditary religion. One could simply not become a Strega or Stregone (male), you had to be “of the blood.” Secrets, potions, and incantations passed from generation to generation and were not spoken of outside of the sacred bloodline. Many mysteries of the ancient ways of Stregheria remain that only a few are privy to. Wiccans follow the creed, An it harm none, do what you will. Stregas follow the same rule, do as thy wilt, as long as you are willing to take responsibility for your actions. While having no intention to cause harm to anyone, and unwilling to strike first, if a Strega is attacked they will fight back, with every intention of winning. This was part of my inspiration for Isabella’s story. Here’s a short excerpt. I hope you enjoy it. The thirteen wooden steps to the gallows creaked beneath Isabella, moaning a dismal welcome to the top. The village of Messina, Sicily hadn’t hung a witch in over three hundred years. At the height of the Spanish Inquisition, Sicilians showed tolerance for those who practiced the ancient religion of Stregheria, but today that would change. With her hands bound behind her, Isabella walked to her death. She peered into the crowded sea of spectators below and fixated on her accuser- The Visconte of Sardinia. He stood tall, his broad chest proclaiming self-importance. Beneath the smug, arrogant expression, a longing lingered in his eyes. She refused his advances to have her in his bed. Isabella invited men she found desirable to share her love, not the other way around. Now she would pay for it with her life. The devil was a ridiculous creature Christians used as a scapegoat for things they didn’t understand and to justify their cruelty. Isabella would never associate with such a reprehensible entity – even if it existed. Cries of grief echoed from the onlookers, most of whom she had known her entire life. It was no secret who she was. They came to her to cure their ailments and heal their wounds. For aphrodisiacs and love potions. Women wanted her to ease the pain of childbirth and help bring their babies into the world. She knew their secrets, too. Many a maiden paid her a visit to rid them of an unwanted burden after spending time with the Visconte. A few even sought her out after confessing their sins to Reverendo Signor Parroco Fiolisi. She was not a gossip. It was not the Strega way. “I’m so sorry, Signorina Isabella.” Roberto, a man of considerable bulk, whose virility returned thanks to a simple herb from her, looped the noose around her neck. She was plunged into darkness and the pungent stench of rotten onions filled her nostrils as a burlap sack enveloped her head. After a couple breaths, the air around her was suffocating. She tightened her gut and braced herself, calling on the Goddess Diana for a quick death. The floor jerked out beneath her. Debbie Christiana would sit in her room as a little girl and write stories about ghosts, unexplained events and things that go bump in the night. 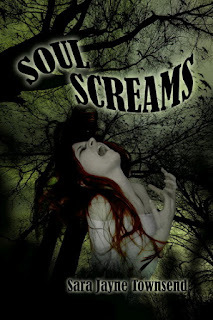 She combined her love of the paranormal with her fascination of unusual love stories and decided to write paranormal romance. Her debut novel, Twin Flames, was released in 2011 with Black Opal Books. Her second book, Solstice, is a 2013 release. This year she’s had two short stories published. 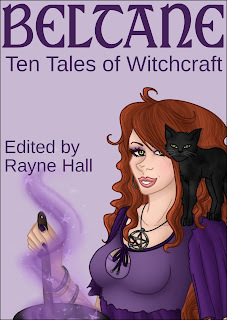 The Land of the Rising Sun, was one of ten included in the anthology BITES: Ten Tales of Vampires and The Thirteen Steps is featured in BELTANE: Ten Tales of Witchcraft. 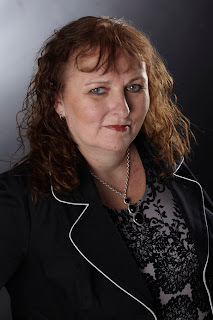 Debbie is a member of RWA and Secretary of the Romance Writers Chapter of Connecticut and Lower New York. She lives in Connecticut with her husband and three children. Thanks Pam, for having me guest post today and good luck with "Family Tradition." Very interesting post, Debbie. And great exerpt! I need to see the rest. Hi Sharon, thanks for stopping by. It was really fun to write and I find I'm enjoying writing short stories :) Glad you liked it. I'm intrigued by the different in emphasis between "An harm ye none..." and the Christian "Do unto others...". In some ways I think the Pagan philosophy actually demands more responsibility from the practitioner, because you have to really consider the effects of your actions, not just from the standard of how you would like things done.